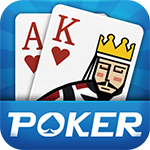 Texas Hold’em, the most popular online card game, is based on its real-world counterpart that dates back to the early 1900s. This game is offered as both a web-based game and a mobile game that operates on the iOS and Android platforms. Currently, this game is offered in 19 language versions, including simplified and traditional Chinese, English, Thai, Indonesian, German, French and Vietnamese. In Boyaa’s Texas Hold’em, two to nine players compete with each other to win the virtual tokens contributed by all the playing parties. Players can purchase virtual tokens and other virtual items, such as avatars, club membership cards and level diamonds and emoticons, in this game. 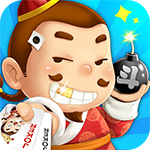 Fight the Landlord, the second most popular online card game of Boyaa Interactive, is based on its real-world counterpart that is one of the most popular card games in China. Fight the Landlord is offered in two variations, one for three players and the other for four players. The two variations of this game are offered as both web-based games and mobile games that operate on the iOS and Android platforms. Currently, the three-player variation of this game is offered in three language versions, including simplified and traditional Chinese and Thai. The four-player variation is offered in two language versions, simplified and traditional Chinese. In this game, two or three players play collaboratively against the third or fourth player, i.e., the “landlord.” The first party that has no cards left wins the game and the virtual tokens contributed by all the playing parties. Players can purchase virtual tokens and other virtual items, such as avatars, club membership cards and level diamonds, emoticons, or equipment, in this game. Big Two, another popular online card game of the Company, is based on its real-world counterpart that is one of the most popular card games in China. This game is offered as both a web-based game and a mobile game that operates on the iOS and Android platforms. Currently, this game is offered in three language versions, including simplified and traditional Chinese and Indonesian. In Big Two, four players play against each other. The first party that has no cards left wins the game and the virtual tokens contributed by all the playing parties. Players can purchase virtual tokens and other in-game virtual items, such as club membership cards, emoticons or interactive tools, in this game. King & Slave is based on its real-world counterpart that is a popular card game in Thailand. This game is offered as both a web-based game and mobile game that operates on the Android platform in Thai only. In King & Slave, four players play against each other. The first party that has no cards left wins the game and the virtual tokens contributed by all the playing parties. Players can purchase virtual tokens and other in-game virtual items, such as emoticons or interactive tools in this game. Chinese Chess is a board game and is offered as both a web-based game and a mobile game that operates on the iOS and the Android platforms. It is offered in simplified Chinese only. In Chinese Chess, two players compete with each other to win the virtual tokens contributed by the players. Players can purchase virtual tokens in this game. 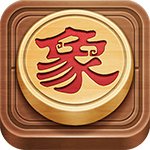 Liar’s Dice is a board game and is offered as a web-based game and in simplified Chinese. In Liar’s Dice, two or more players compete with each other. The first player who successfully challenges another player or withstands a challenge wins the virtual tokens contributed by all the playing parties. Players can purchase virtual tokens and other in-game virtual items, such as emoticons or interactive tools in this game. Ant Wars is a casual shooting game and is offered as a web-based game. Currently, this game is offered in five language versions, including simplified and traditional Chinese, Thai, Indonesian and Arabic. In Ant Wars, players, individually or in groups, battle with each other by utilizing various weaponry or skills. Players can purchase in-game virtual items, such as interactive tools, equipment, weaponry and treasures, in this game. Happy Babies is a casual virtual-pet-raising game and is offered as a web-based game. Currently, this game is offered in three language versions, including simplified and traditional Chinese and Thai. In Happy Babies, a player raises and decorates his or her virtual pets and interacts with other players’ pets to earn various points and honours. Players can purchase virtual items, such as various virtual simulations of real-life objects and ornaments, in this game. 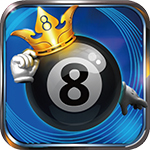 American 8-Ball Pool is a sports game based on the popular 8-ball pool game and is a web-based game and a mobile game. Currently, this game is offered in three language versions, including simplified and traditional Chinese and Thai. In American 8-Ball Pool, players compete with each other to win the virtual tokens contributed by the playing parties. Players can purchase virtual tokens and other virtual items, such as ornaments and emoticons, in this game. Given the wide popularity of Mahjong games among Chinese-speaking players and the variations of rules in different Chinese-speaking regions, the Company started offering the first two Mahjong games, the 13-Tile Mahjong and the 16-Tile Mahjong,. The Company currently offers a total of six Mahjong games, including Sichuan Mahjong, Guangdong Mahjong, Shanghai Mahjong, International Mahjong, 13-Tile Mahjong and 16-Tile Mahjong. Shanghai Mahjong and International Mahjong are offered as mobile games only, and the other Mahjong games are offered as both web-based games and mobile games. 13-Tile Mahjong and 16-Tile Mahjong currently are offered in traditional Chinese only, and other Mahjong games currently are offered in simplified Chinese only. In the Mahjong games, players compete with each other to win the virtual tokens contributed by all the playing parties. Players can purchase virtual tokens in the Mahjong games.